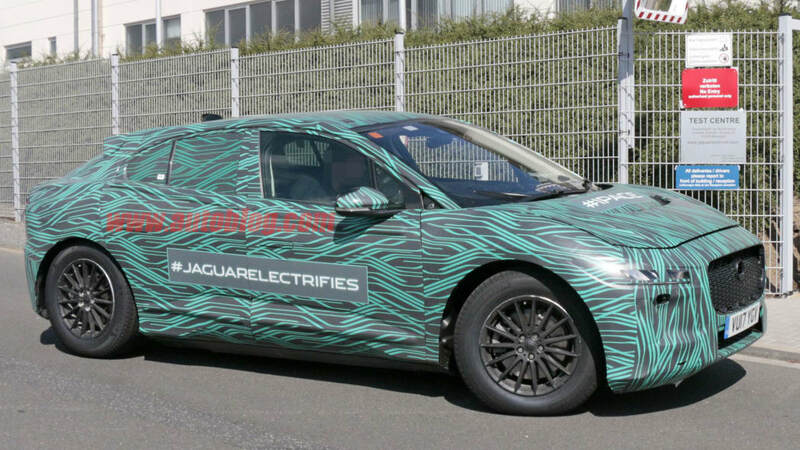 Jaguar is continuing development work on the I-Pace, its first all-electric model set to arrive in 2018. 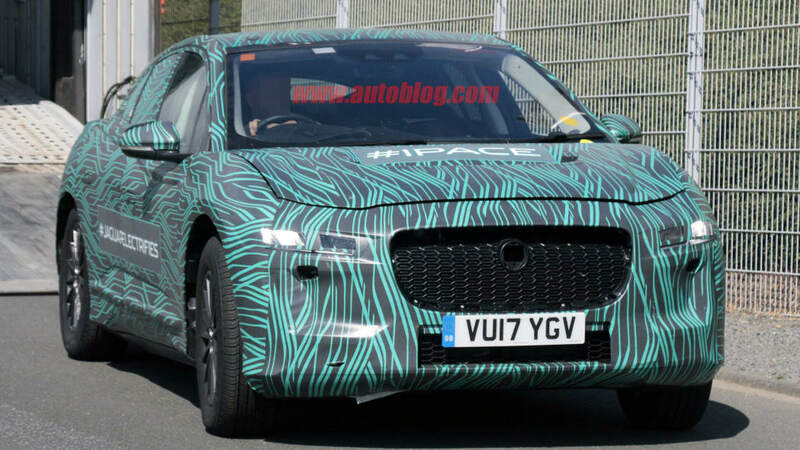 Today we're getting fresh spy shots of the svelte crossover being unloaded for testing at the Nürburgring, and the I-Pace looks almost identical to the concept model and a prototype we spied earlier this year. 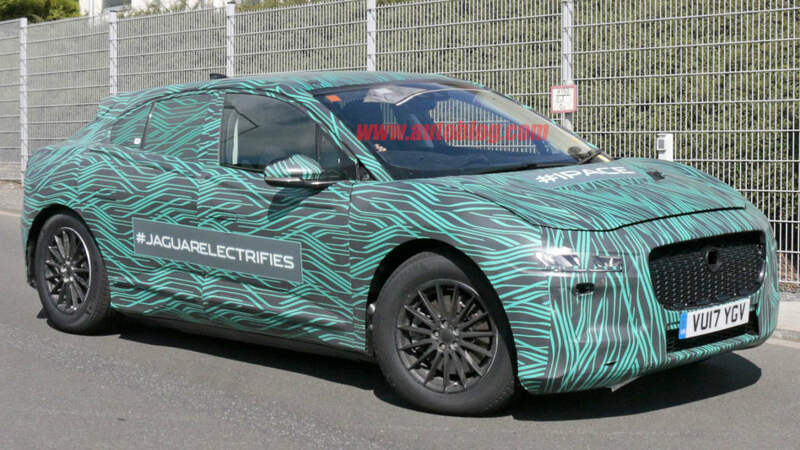 It's expected to debut next fall at the Frankfurt Motor Show. 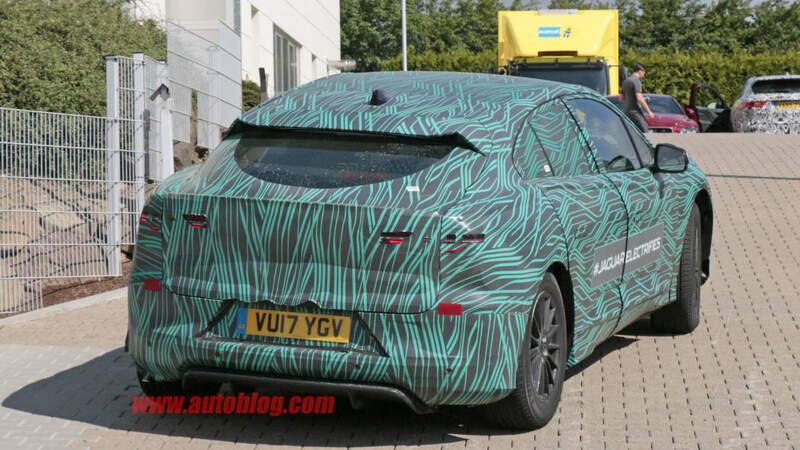 Despite wearing Slimer-green camouflage, the I-Pace's curves and creases are evident. 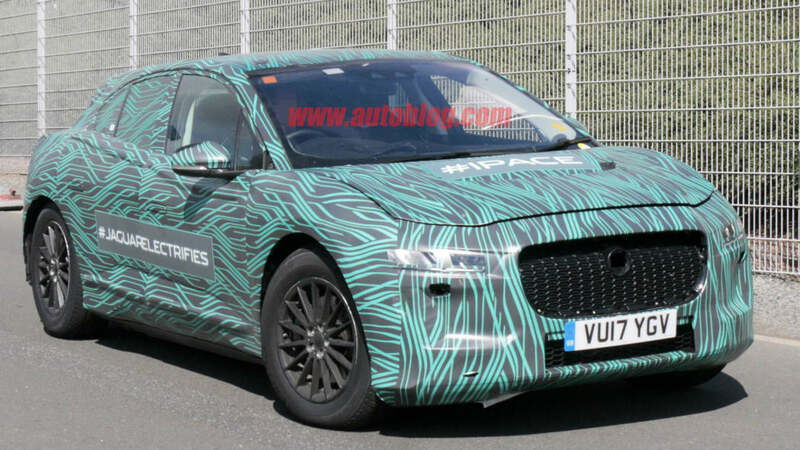 It's fronted by a prominent grille that's mainly for looks, angled headlights, and short overhangs. 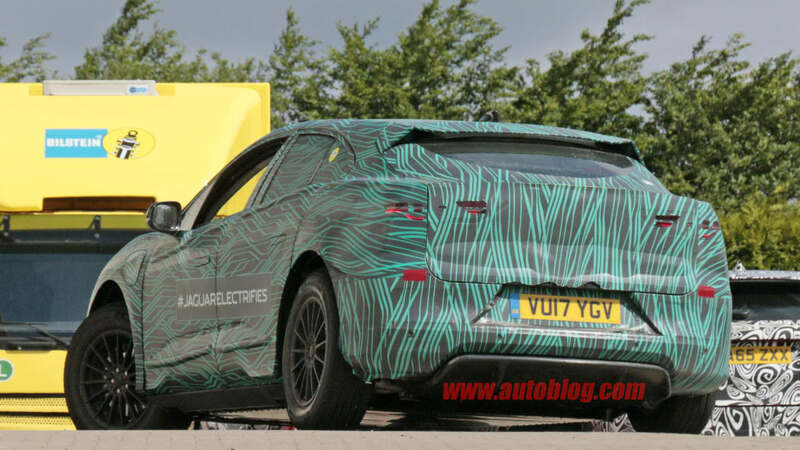 Obviously, Jag wants you to know it's working on an electric car, as the test mule wears the hashtag #jaguarelectrifies on the sides and #ipace on the hood. Subtle. 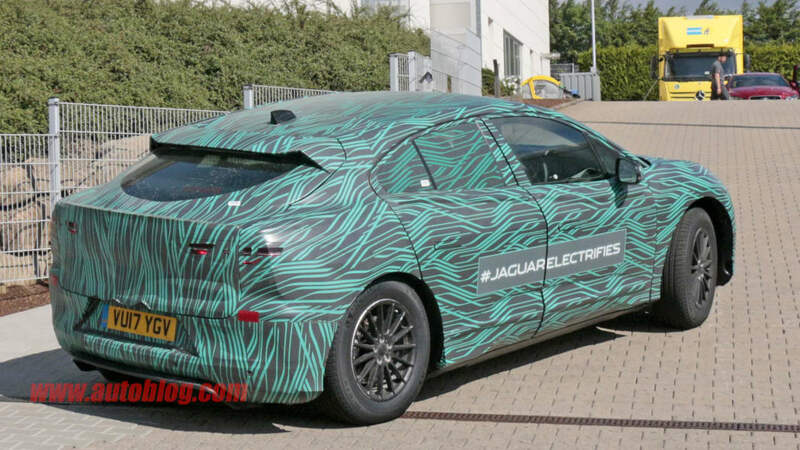 Jaguar hasn't confirmed US specs, but based on the concept car the I-Pace generates 400 horsepower and 516 pound-feet of torque to all four wheels from a 90-kilowatt-hour lithium-ion battery pack. 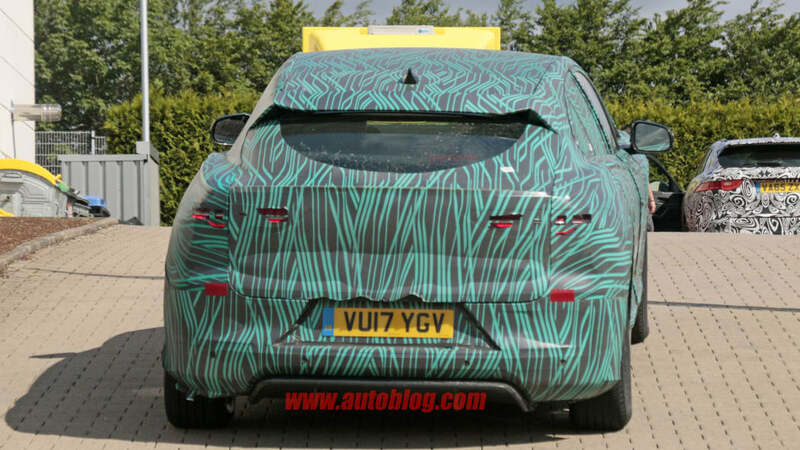 The crossover can hit 60 miles per hour in 4 seconds and has an expected range of 220 miles. 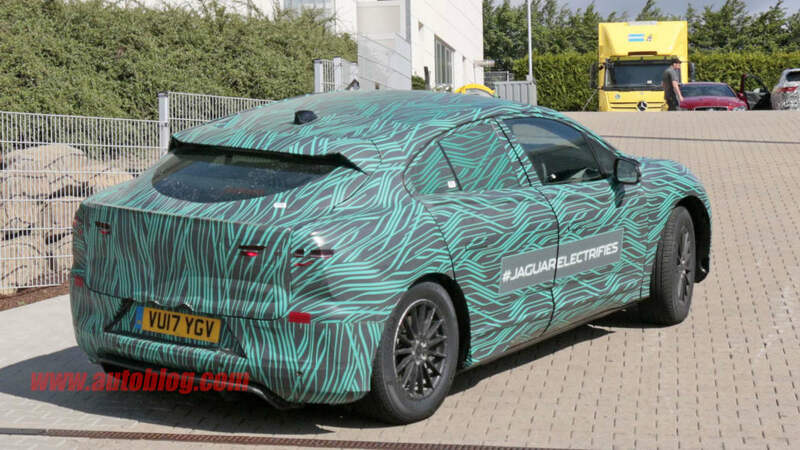 Jaguar is investing in electric technology, though it's also looking to diesels and smaller-displacement four-cylinder engines as part of its future powertrain strategy. 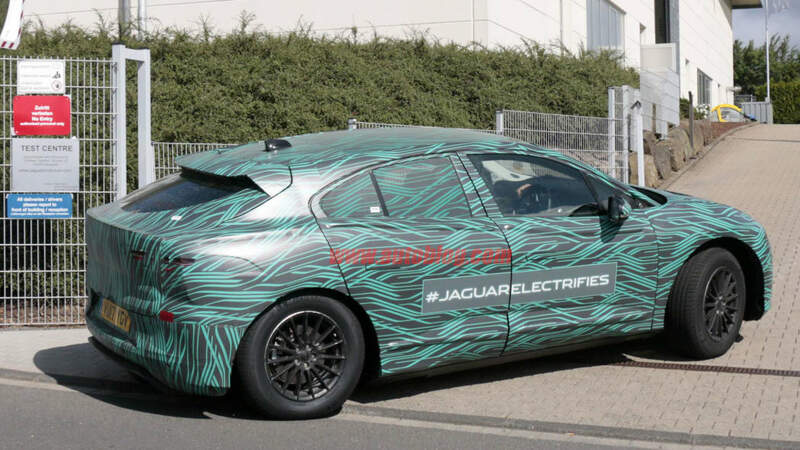 On Monday, the company confirmed plans for a 296-hp turbo four-cylinder that will be offered in the 2018 XE, XF, and F-Pace, as the well-received Ingenium engine family expands. In Jaguar parlance, the "Paces" are crossovers: The F-Pace is a midsize utility vehicle. 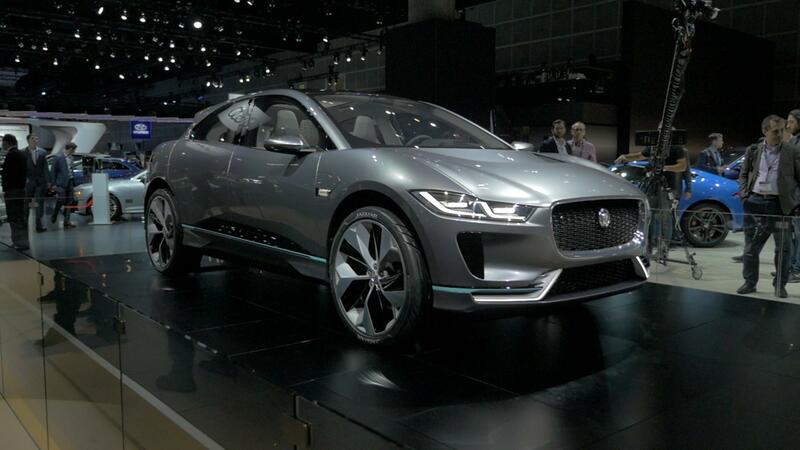 The E-Pace is a compact crossover, and the I-Pace is an electric crossover. Try to keep up.